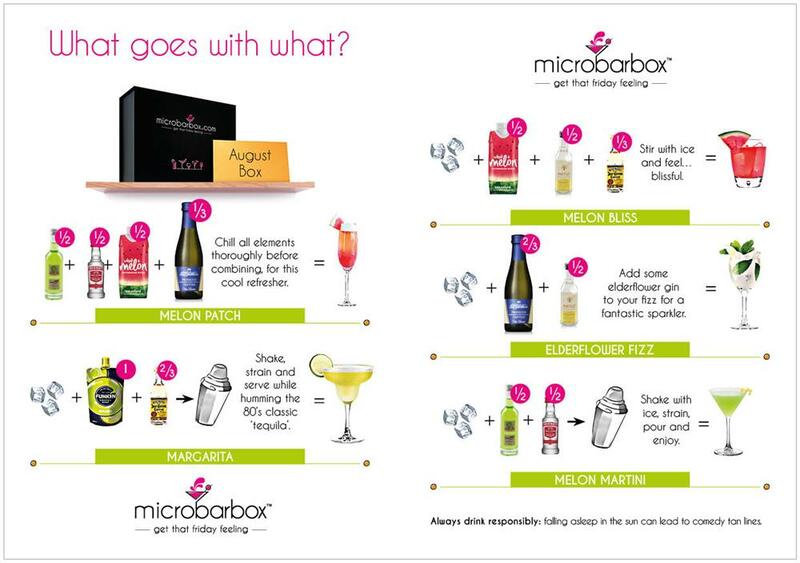 We have added a bit of sparkle into this month's box, it is bursting with flavour and bubbles! Mix up a Melon Patch with the Gabriel Boudier Melon liqueur, Smirnoff Vodka and Le contresse Prosecco and enjoy this cool refresher. Next up is the classic yet irresistable Margarita. Shake the Funkin Margarita mixer with Jose Cuervo Tequila and strain whilst hummin the 80's classic 'tequila'. Have you ever wondered what perfect happiness is in a glass? Melon Bliss cocktail is the answer. Courtsey of the very convenient What A Melon melon juice combined with JJ Whitley Edlerflower Gin and Jose Cuervo Tequila, it will even make you feel blissful! Making bubbly more fun with the Elderflower fizz! USe the remainder of the Le contesse Prosecco with JJ Whitley Elderflower Gin to create a fantastic sparkler. Last but not least we have a Martini, however it is not just any old Martini, you can create a magical Melon Martini with Gabriel Boudier Melon liqueur and Smirnoff Vodka. Be prepared to be amazed. Don't forget all our Cocktail Club members receive a 10% discount in our Bottle Shop, so if you've found a new favourite you can easily pick-up a full-sized bottle, whilst bagging yourself some more MicroShots. Mix up the drinks and let us know which one was your favourite, we love hearing from you and seeing your photos on Twitter, Facebook and Instagram. 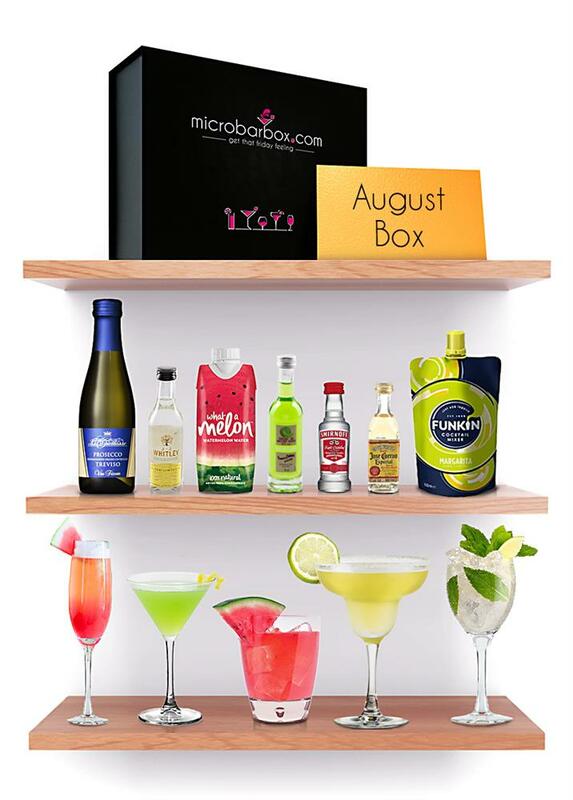 PS: We are running a special summer promotion of £5 off your first three monthly Cocktail Club boxes, join the fun here!